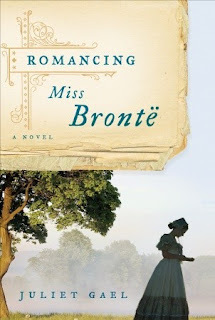 I've always been a Bronte fan, so when I stumbled upon this book it made me curious. I was half expecting it to be a sort of "Becoming Jane" kind of story, but about Charlotte Bronte instead. See, the romancing word on the title can be a bit misleading. It does have romance in it, but just the right amount and only at the end. The rest is a fiction novel about the Brontes' sisters life and of Charlotte Bronte in particular. Although it is fiction, it is based on the real facts that are known about them, so it reads like non-fiction or more like a biography sometimes. What did I think of it ? I loved it. I enjoyed it so much I couldn't stop reading it. It was a busy week and I had a certification exam on Saturday morning but still I stole a few moments every day just to read another chapter. 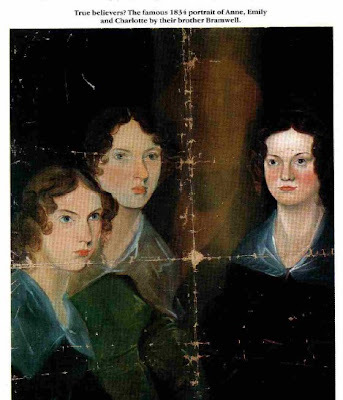 The book starts quite slowly, introducing us to the Bronte household, the different characters of the three sisters and their brother, their relationship with their father and their friends, their studies in Brussels and their solitary life in Yorkshire. I loved Emily's portrayal, it is exactly how I would picture the author of "Wuthering Heights". I have read "Villette" a few years ago and although I can't remember much of it now (time for a re-read perhaps ?) it was very interesting to learn how much of Charlotte's novels are autobiographical. I loved to read about the interaction between the three sisters, and how they decided to publish their own novels under the name of Acton, Ellis and Currer Bell. 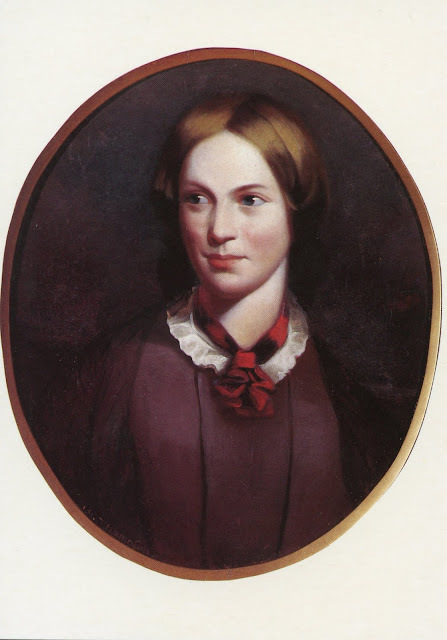 I also enjoyed reading about how the inspiration for "Jane Eyre" came about. After it gains public recognition the story starts to pick up a bit more of pace and things start to happen for Charlotte. At the insistence of her publisher she goes to London for a while and gets to meet Thackeray, for example, and becomes a friend of Elizabeth Gaskell. The book has a lot of sad parts, of course. I mean, if you know a little of the Brontes' life, you'll know they died quite young, so there are no surprises there. I was curious to know a bit more about their brother Branwell. He who was supposed to be the talent in the family, the one that everyone had such high expectation from, and was actually such a failure. And about the romance part ? Well, at the start of the book we are introduced to Arthur Nicholls, a curate who comes to work for Patrick Bronte, the girls' clergyman father. He seems to be quite the boring character at first, but little by little he seemed to grow on me. He's stubborn and quite obstinate in his views, and sometimes his opinions just seem too intolerant and bigoted. But we catch glimpses of his good qualities and how he starts to care for Charlotte. That he finally falls so passionately for her is a bit of a surprise, but Gael makes it feel true. Charlotte doesn't feel the same way but thinks it's the last opportunity she'll have of getting married and not ending up lonely and resigns herself to a loveless marriage. I was a bit angry when I read this, since I do love my happy endings, but the last couple of chapters about their honeymoon and the start of their married life made up for it afterwards. So if you're a Bronte fan or are just merely curious about their lives I would definitely recommend reading this. I have a strong urge to re-read "Jane Eyre" now, and see if knowing a bit more of Charlotte's life will give me a different impression of her books. I've never read "Shirley" either, so that goes on my to be read list soon. Thanks for sharing. I hope this will be helpful for the readers and will increase their knowledge.